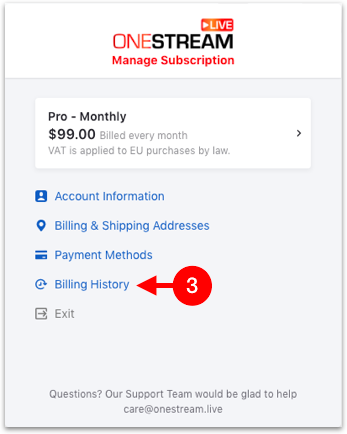 You can view billing history and download your invoices easily from OneStream dashboard. Click on your avatar on the top right corner. From billing portal pop up window, click Billing History. 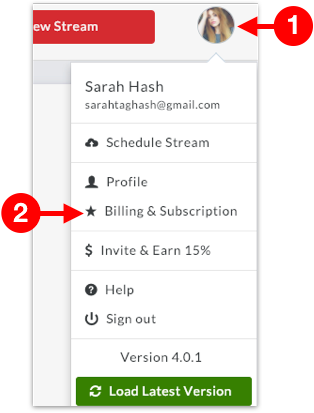 You can see your current, and past subscription plans. 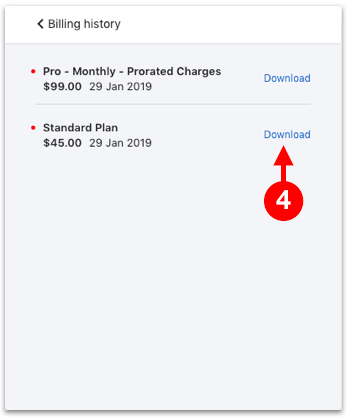 You can download the invoice of any purchased subscription plan by clicking Download.